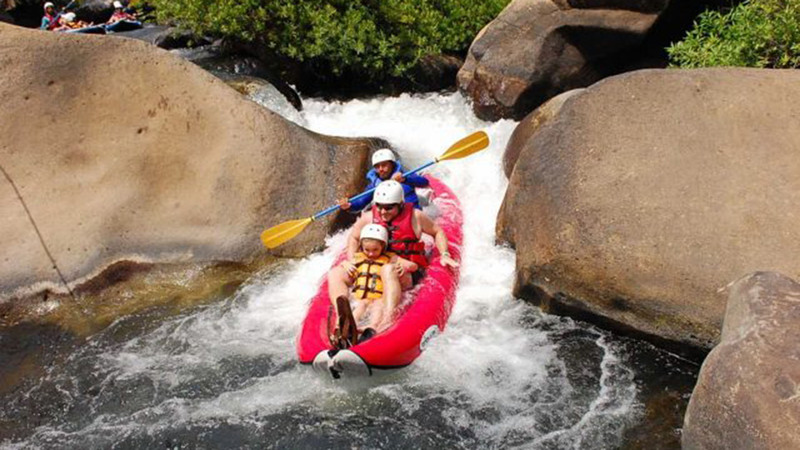 Colorado River Rafting tour combo, excitement for the entire family. Enjoy the beautiful gardens and the majestic creation of the canyon. 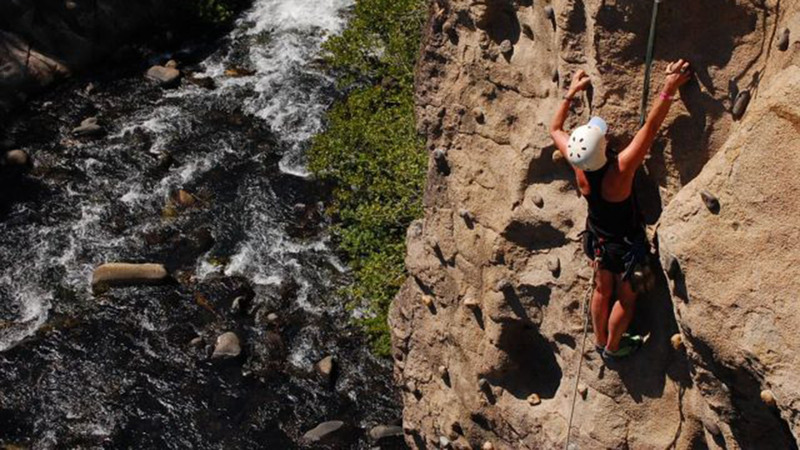 You will enjoy a full day of exciting adventure activities of horseback riding, white water tubing, zip line canopy, rappelling, climbing a natural rock wall through the impressive Canyon of the Colorado River. 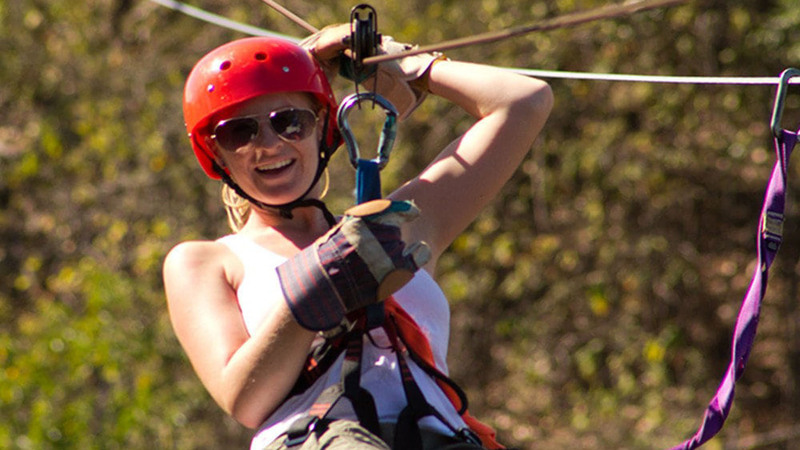 Experience a Canopy Tour mixed with observation platforms and hanging bridges that will make the trip. 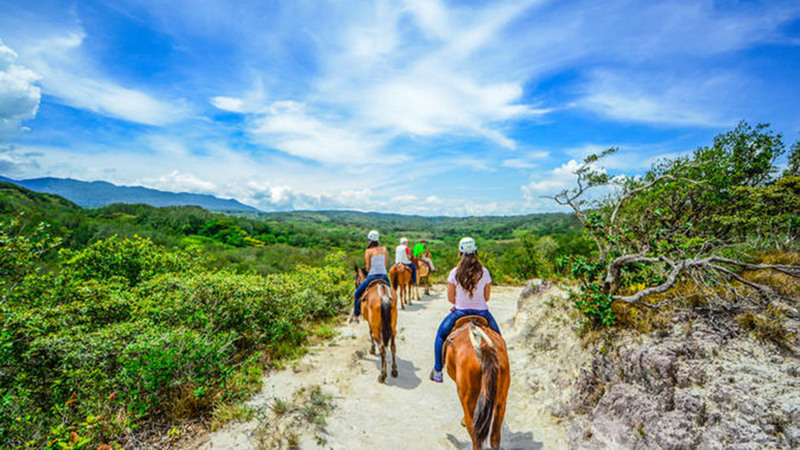 Begin your day with some horseback riding in the morning as you explore and enjoy the view of Rincón de la Vieja Volcano lowlands. 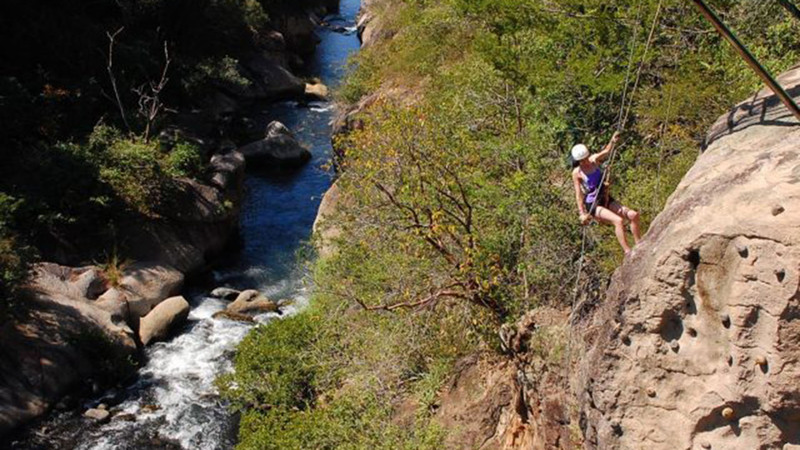 Your ride will be followed with zip-line canopy tour through the dry forest with 9 lines and 14 platforms crossing the Colorado Canyon, plus expert guides help you to rappel and rock climb up the canyon wall. 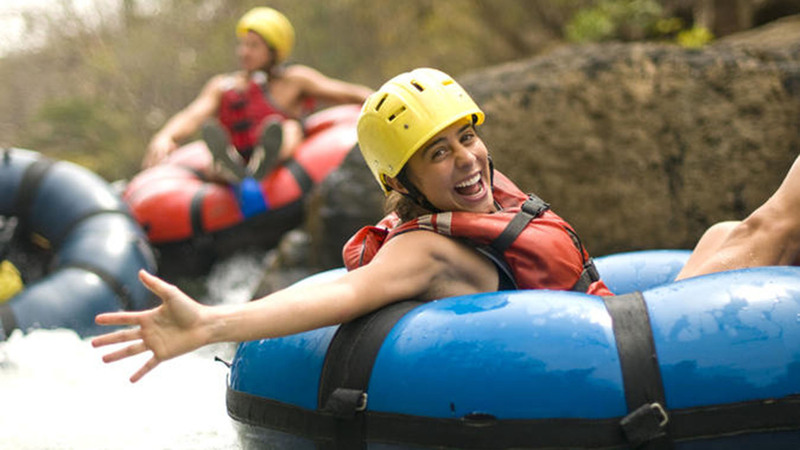 All of this takes place above spectacular views of the breath-taking canyon which has been carved over the years by the waters of the Colorado River. 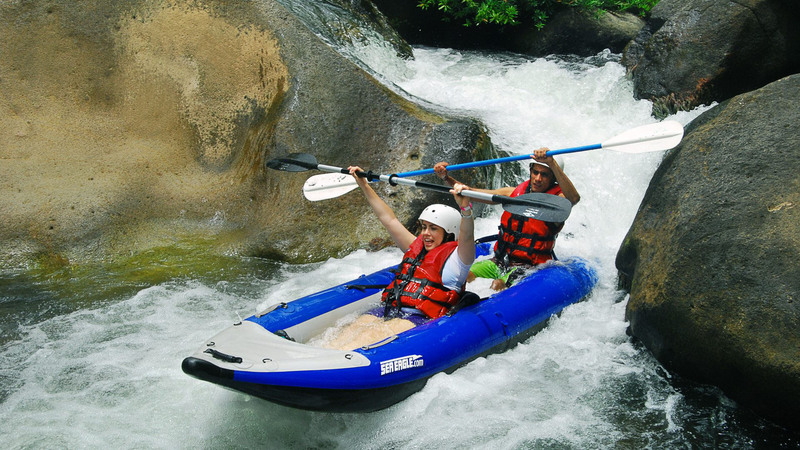 You will enjoy a hot lunch before embarking on a challenging tubing trip on the Rio Colorado, and at the end you can relax with warm, volcanic mud and enjoy a soak in therapeutic hot pools! After you rinse off, you can change into your dry clothing before returning to your Beach Hotel. NOTE: Some locations may have additional pick up fees. 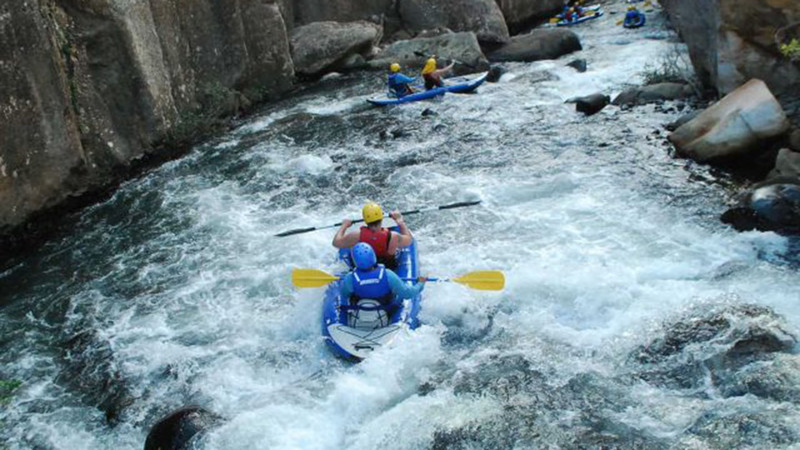 *The Tour Prices reflect the least expensive rates during low season and are subject to change at any time. You will receive a 100% accurate price when you inquire with us. The rates listed here, are per person, include taxes, domestic transport, tours as described, unless otherwise indicated. 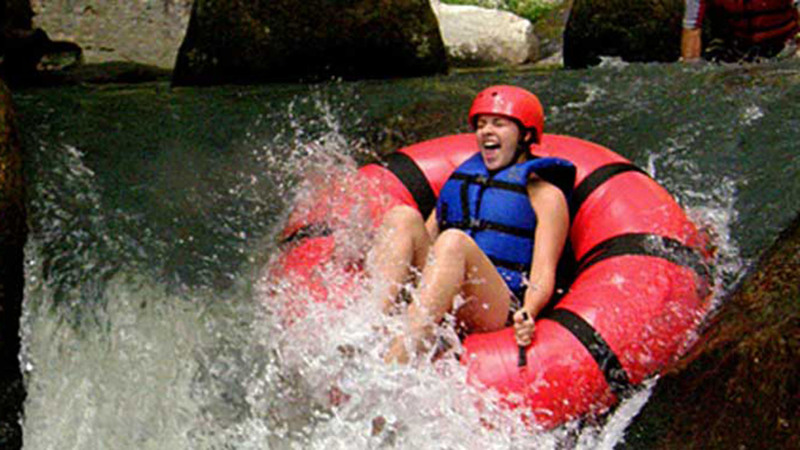 Price does NOT include international airfare or optional travel insurance or any other services not expressly mentioned. Prices are expressed in US dollars unless indicated otherwise.